It has not been a good week for White House Press Secretary Sean Spicer, who no longer seems capable of making a simple Hitler reference without shoving his foot in his mouth and accidentally denying that the Holocaust occurred. 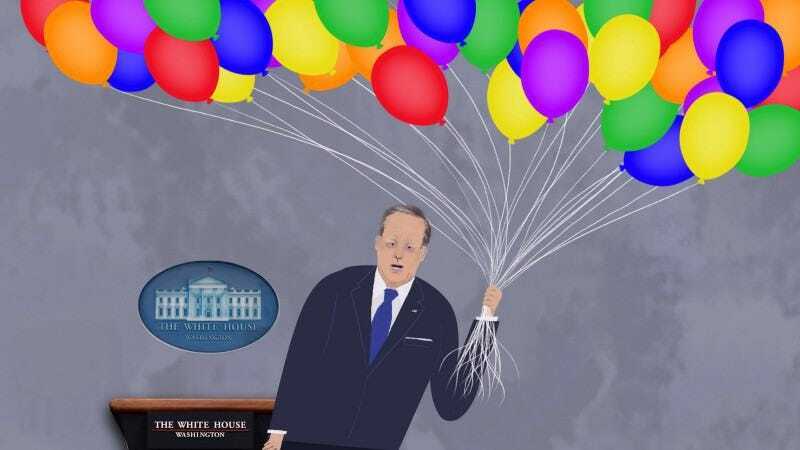 People—Nancy Pelosi, to name just one—have been calling for Spicer to be fired from his post for the last day, after he whoopsied up a reference to the Nazi’s chemical weapons policies, which left out the millions of Jewish people gassed in concentration camps during World War II. But there’s also a slightly longer con, like the “Switcheroo,” which sees Spicer briefly pretend to be a member of the press corp before huffily storming out. Bee and her team have more advice on Medium; meanwhile, we just hope Spicer watches his back, lest his old enemies seek to kick him while he’s down. You never know when the ice cream of the future might want to settle the scores of the past.